Aerial view of Mt. 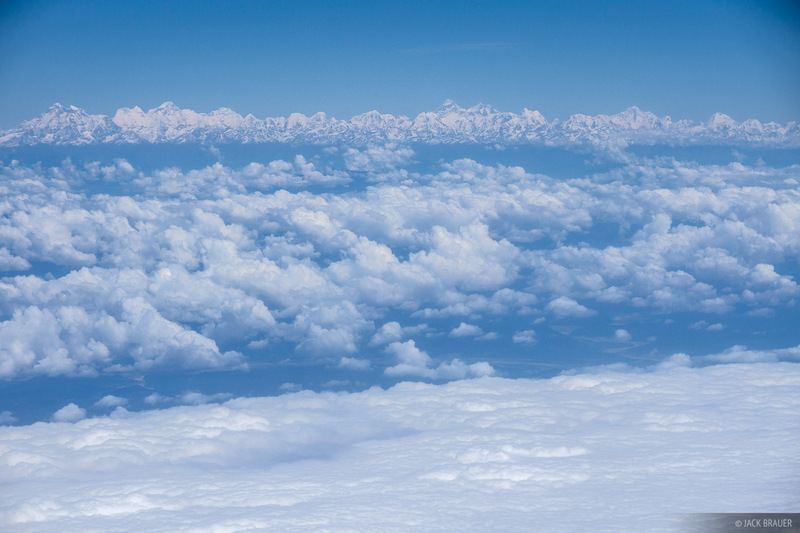 Everest and the Himalaya while flying in to Kathmandu, Nepal. Photo © copyright by Jack Brauer.